Budget season in MNPS continues to march on, and it continues to be one of turmoil. Fresh off of spring break, and several reports from Channel 5 investigative reporter Phil Williams looking at district fiscal policy, Metro Nashville Public Schools held two more budget hearings this week. Two more meetings that highlighted the district’s inability to provide verifiable data that would allow for a meaningful conversation on next year’s proposed budget. These meetings also highlighted the administration’s unique ability to appear incompetent while still benefiting from that incompetence. This year, as opposed to previous years, the budget was released piecemeal with several corrections to data that reflects the current year’s finances. For example, at Monday’s meeting it was revealed that the Director of School’s salary, along with those of the Chiefs, was initially presented incorrectly. The salary listed reflected the 3% raise that was awarded to MNPS employees last year. That raise was not given to senior administrators, but the line item was never corrected in the budget. This translated to miscalculated budgetary items regarding the Director of Schools and senior administrators’ salaries proposed for next year that was luckily caught by a board member before going forward for approval. I listened to Chief Financial Officer Chris Henson laconically explain this correction at Monday’s meeting with mouth agape. But I shouldn’t be surprised, because this year’s budget has been riddled with errors, more so than any year I can remember. A couple of weeks ago, during one budget meeting when a board member started questioning individual school allocations based on information distributed by the district, she was stopped and informed that the information had been revised. It wasn’t the projected information that had been revised, but rather the numbers for the current fiscal year. At a later meeting, it was discovered that a whole column had been miskeyed and needed revision. When the veracity of line items is under question, it comes virtually impossible to have a meaningful conversation, and as a result, the community has quickly grown frustrated. Throw in staff reductions, perceived areas of need, social workers, and truant officers, along with the loss of a vital free lunch program – all amid reports of questionable spending – and what we are left with is a process that seems incredibly broken. Somehow, though, this turmoil and dysfunction is going to facilitate the passing of Dr. Joseph’s budget virtually untouched. The entire budget was not revealed until March 27th and was immediately followed by spring break. Public commentary was scheduled the first days back from spring break. Next Tuesday, the board votes on the budget, and the following week it will be presented to the mayor. 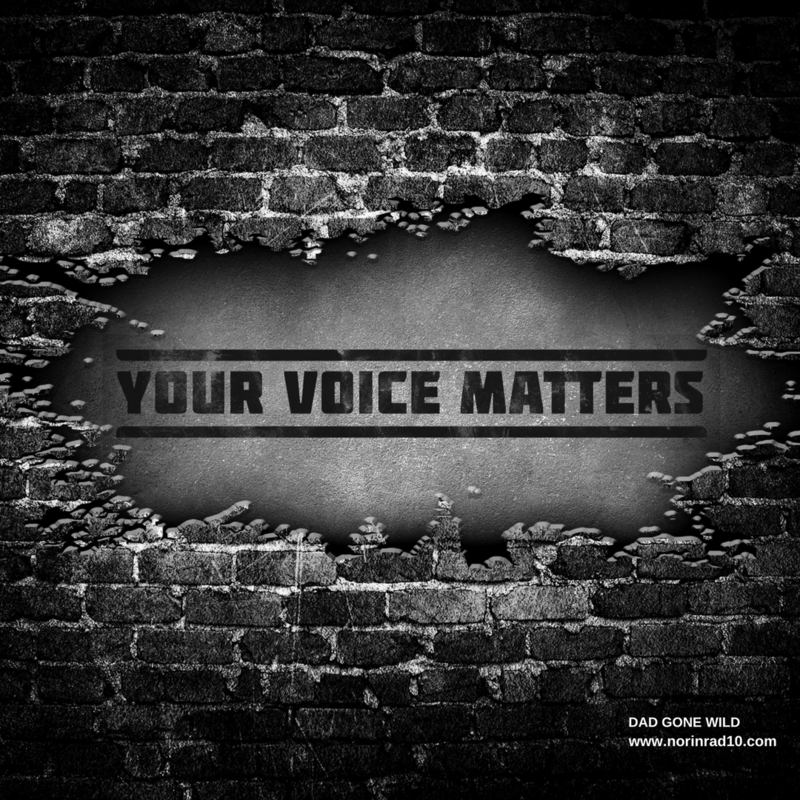 So despite the impressive turnout for public commentary, there really is little time for any meaningful changes to occur, which gives the proceedings a sense of orchestration. When I checked with Mrs. Garcia, Mrs. Williams, and Mr. Shrader, each confirmed, they had NOT received additional compensation.Which means the only person who received a $24,000 stipend was the wife of the Chief of Schools, Maritza Gonzalez. Ms. Gonzalez’ base salary is $130,831.71 per year. The reduction from $155,000 took effect July 1, 2017 when her title was changed from Executive Officer to Executive Director. However, the anticipated reorganization of staff and responsibilities that went with that reduction was placed on hold due as the school district works to fill the Executive Officer for Communication and Community Engagement position. Once that position is filled, family engagement will move to a new office. Ms. Gonzalez agreed to continue with her previous responsibilities until the other position was filled. Consequently, she has received a per pay period stipend of $929.55 for those continued responsibilities. When the reorganization is complete, the stipend will be discontinued. Houston, we’ve got a problem. 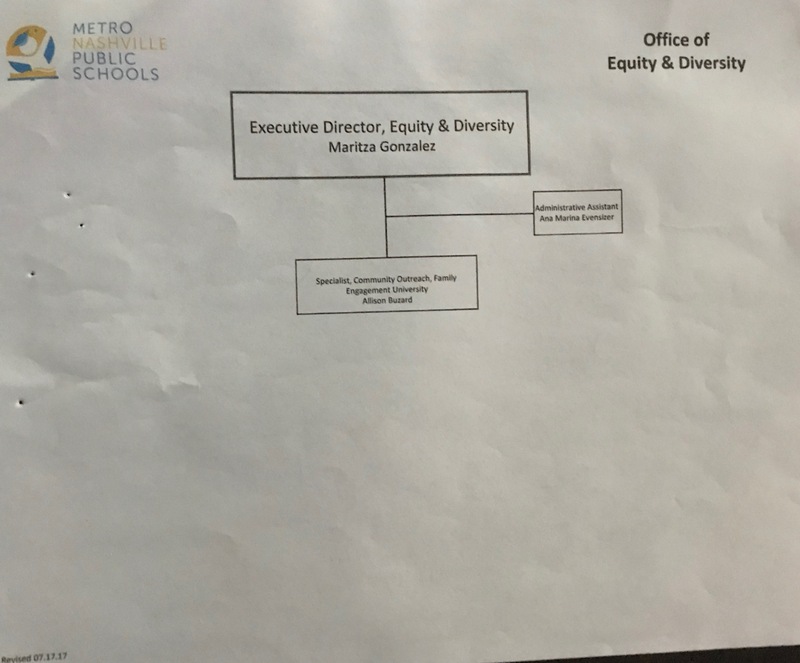 A look at the district organizational chart fails to back up the later claim. It shows a $131K a year administrator supervising one employee, aided by an administrative assistant. There are only a handful of people making over $130k a year in the district. I don’t think it is an unrealistic expectation that the Chief of Human Resources, who herself is making $170k, be familiar with the responsibilities of that small handful of people. I also believe it’s extremely problematic when the wife of the Chief of Schools is the only person receiving a stipend that puts her among the 10 highest-paid employees of MNPS, despite a lack of commensurate experience. Last month, we dragged Mayor Megan Barry out of office over her bodyguard/boyfriend making an extra $170k. Minus the salacious details, I see no difference between Rob Forrest/Megan Barry and Maritza Gonzalez/Sito Narcisse. We were told five MNPS employees had their salaries reduced substantially last year, but only one, who happens to be the wife of the Chief of Schools, received a stipend to supplement those lost wages. A stipend that took nearly a month, after an initial denial, in order for central office to craft a semi-plausible explanation for its existence. Equally hard to explain is exactly what Gonzalez does to earn her elevated salary. There is mention of community engagement work, but the district’s Parent Advisory Committee still lays dormant despite holding a couple of organizational meetings this past year. Only the Overton, Stratford, and Hillsboro PACs are currently active and that’s only due to parental initiative and support from the administrators in those cluster schools. Districtwide, 22 months later, there is still no communicated vision of what family engagement is even proposed to look like, let alone a functioning strategic plan. 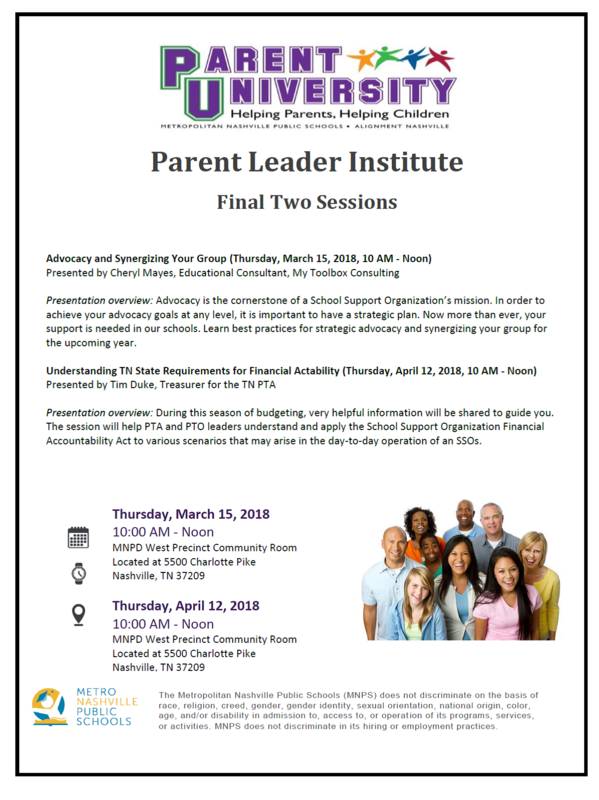 I would be remiss here if I did not mention that the Department of Family and Community Engagement has conducted a series of very successful parental education sessions through their Parent University program. But that has little to do with Gonzalez and can be attributed to interim director Pam Burgess and her hard working team. The final session this year will take place on Thursday, April 12th, at 10 AM at the West Police Precinct. Attend if you can. Getting back to Gonzalez, the unofficial narrative around her responsibilities is that she travels. She travels a lot. Earlier in the year I put in an open records request on Gonzalez’s travel and was initially told there was none. When I questioned that, it was discovered that she did travel, just not on the district’s dime. Between July 1, 2017 and December 1, 2017, Gonzalez attended 4 conferences paid for by outside sources. Two of those trips were paid for by the Racial Equity Leadership Network (RELN). 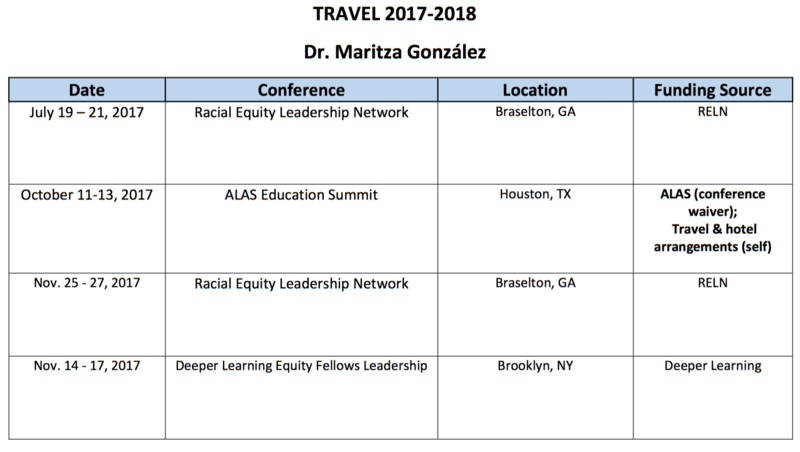 Gonzalez is a 2017 Fellow for this organization, whose stated mission is “to gather five times to intimately dive into both the racial equity challenges and opportunities that exist within their respective school districts, as they work to realize authentic change and more equitable outcomes for the students in their systems.” Gonzalez also attended both the Deeper Learning spring conference and a 3rd gathering of RELN Fellows this spring. While no district money was spent on travel for these conferences, I question when Ms. Gonzalez found the time to convey the information gathered at conferences back to district employees. Trips every month translates into a lot of absences. Frequent absences leave it to others to fill her district responsibilities. Now if all these instances I just related were isolated incidents, I’m pretty confident that board members Speering and Frogge would have both continued to communicate primarily behind closed doors. Over the last 22 months, they, along with the other 7 board members, have been extremely disciplined in following Dr. Joseph’s directive of communicating only with him. Quite frankly, this lack of communication with the public also came with the detriment of personal relationships and reputations. Board members made it clear that they had made a commitment to Dr. Joseph and they meant to honor it. But I think it’s safe to say, based on the litany of questions and concerns raised by both Speering and Frogge, Dr. Joseph and his team were not holding up their end of the bargain. They were failing to provide board members with accurate information in a timely manner. Dr. Joseph will point to his 60-page weekly missives as a counter argument, but I’d argue those reports are merely an attempt to hide trees in the forest. Whatever the case, it’s very apparent that two respected board members had reached a tipping point. Both raised their questions in a deliberate and level manner. In no manner were there “inappropriate outbursts,” as described by Dr. Joseph. It was clear that they had done their research and put a lot of thought into presenting their concerns. Dr. Joseph’s response was to voice displeasure at their perceived breach of protocol and to lecture them about hypothetical ramifications devoid of any recognition of their past 22 months of blind loyalty. Amazing how fast that Arbinger training flew out the window. During a break in the budget committee meeting, a conversation between Frogge and Joseph was captured by live mic that was inadvertently not muted. I always say you shouldn’t judge people by what they say when they know you’re listening but rather by what they say when they think you are not listening. In that light, this conversation was quite revealing and not at all flattering to Dr. Joseph. To begin with, there is nothing quite like a non-lawyer lecturing an actual lawyer about possible exposure to litigation. At one point Joseph says, “One thing I don’t do is anything illegal with money.” Ok… that is strangely reminiscent of former district employee, and long time friend of Joseph, Mo Carrasco’s defense when accused of sexual harassment when he said “I’m innocent until proven guilty.” I’m not sure why Joseph felt the need to raise this defense, because at this point nobody has accused him of illegal behavior, just sloppy and potentially unethical behavior. At one point, Frogge is heard saying, “I don’t work for you.” That point needs to be reiterated. We all have bosses. Our bosses seldom do everything we want them to, but we defer to them because they are our bosses. I think there would be repercussions for all of us if we were to fail to acknowledge criticism from our boss and instead publicly disparaged them. I would think Shawn joseph would take exception if any of his principals were to conduct themselves in a similar manner. We don’t have to like our bosses, but it is imperative that we show them respect. I stress to the kids on the baseball team I coach that making a mistake is not what is important, but rather it’s what you do after the mistake that matters. What this budget process has clearly revealed is that Dr. Joseph has, at the minimum, made mistakes over the last 22 months. The question is, what does he do now? He clearly needs a good strategy. Early indications aren’t exactly encouraging though. Getting defensive with those who are merely fulfilling the requirements of their job is not a good strategy. Pressuring principals to come speak to the virtues of your proposed budget is not a good strategy, especially when, despite a concentrated effort, you can only produce six principals. Rolling your eyes, shaking your head, and smirking while an elected board member voices their concerns is not a good strategy. Packing the board room with your fraternity brothers and having them refer to the previous night’s questioning as a “public lynching” is not a good strategy. I don’t pretend to know who the Director is taking advice from, but I hope they are advising him not to underestimate the precipice he is standing on. For the first time, I’m beginning to hear people openly wonder if this is the beginning of the end. The answer to that question lies with Dr. Joseph himself. As always, I have no vested interest in whether he lasts or does not last in his position. My focus remains on the implementation of policies rooted in best practices based on research and supported by data. Ideally, for the sake of stability, Dr. Joseph will adjust and amend behaviors, thereby reestablishing trust. But that’s going to take some heavy lifting. In closing, I’d like to report on some positive news. Kevin Stacey and Molly Stovall gave a presentation to the board last night on the state of the district’s English Learner programs. If you haven’t watched it yet, I urge you to. The presentation starts around the 53-minute mark. 23% of all students in MNPS require EL services. There are 787 EL teachers with 16 coaches. That’s right, only 16 coaches. The EL budget has basically been flat for the last three years. Dr. Joseph talks about infusing $2 million into EL services, but that money is primarily for hiring new teachers in order to be compliant with state-mandated teacher-to-student ratios. Despite these challenges, the department produces work that inspires Jan Lanier, the director of EL for the Tennessee Department of Education, to publicly say that MNPS has done in 3 years what the state thought would take 5 years. Thank you Kevin, Molly, and all of you MNPS EL teachers for your tremendous dedication and accomplishments. I am glad that Amy Frogge and Jill Speering are looking into the budget and expenditures. They are doing the job for which we elected them! Thank you for reporting on this TC. Question: There was a request for an audit due to the shortfall of last years budget and in turn the reasoning behind this years budget and other decisions regarding hiring, lunches etc. Yes? Then in turn this has been done? Yes or No? And if so that is where the line items and other errors were found? Yes or No? Or were these simply due to the diligence of the Board to actually examine the budget closely and start to inquire about what they believed were in error or did not understand? Yes or No? Or was it because Phil Williams started that and in turn began asking questions that led to the query? Yes or No? So why would any budget be approved given what we know now and in turn why could a request be made to ask an unbiased third party to examine said budget and in turn postpone said budget for a small but reasonable time frame in which to enable the Board to make appropriate decisions and vote accordingly. And in turn this could enable the “Doctor” to also adjust or examine some of those items that may be in error or can be resolved due to new information regarding funding or grants that at the time he was unaware. Is that not possible, feasible or recommended? Then we have the traveling issue. Freeze no freeze I get. But despite that the cost of said travel is not being paid for by the district; however, is that not a loss of time on the job and in turn how is that compensated or deducted from one’s salary? So I ask my boss can I go to a conference that may benefit the company, but that I will not need a stipend I will pay for it out of pocket or I got a grant what have you. He/She goes “Sure but what about the work on the desk?” I inform him I can do some of it traveling and I have tasked Sheila with the work. Should Sheila get paid extra and I am docked for being gone or is this personal leave? Vacation time? Special day? And then at the end of the year we find out that I was busy at a lot of conferences and while they may have been part of my gig then great but then the company should pay for it as if I am springing the tab here then who is it really good for? Me and networking cause Sheila is doing my job and my Boss probably doesn’t need me after all. Again this Is not illegal. NO ONE has even alleged as such but it is amazingly arrogant and blindsided. I keep thinking that is like we are in the movie The Grifters. There is something wrong here but the Board are responsible and in turn accountable. They ultimately are the ones whom should be doing their job as so pointed out during that hot mic exchange and no one in this district should be distressed if a budget is delayed for a cooling off period. And in reality as there is an upcoming Mayoral election it seems wise to wait for that outcome to be decided first and thankfully that is happening sooner vs later. And regardless of who is in that seat they too need a moment to appropriately review and inspect the budget as it affects their professional image. You start your school year extremely early and that doesn’t help when you are doing fiscal vs calendar year and vs school year. I have always done fiscal year accounting which is rare but as a former Teacher it was the easiest time to do so and I planned accordingly but I do believe that for many it is massively confusing and they are not as engaged which was not helped that spring break was later, snow weeks and school calendar issues took precedence. But with only Channel 4 covering this issue, the Tennessean utterly neglecting it there is little spotlight on what should be an important issue. But then again I did enjoy the rehashing of the Mayor Scandal as I was over the Stormy Daniels one. I don’t read the National Enquirer but hey they might be the one to contact, they haven’t done much since OJ or John Edwards. See we gots our priorities!! Again I am available to teach Dance and Movement as a test enhancing/stress reducer. I have no credentials as a Dance Teacher can’t say what it will accomplish but I did study dance for several years and my fellow student was Mark Morris who became an acclaimed dancer and choreographer. So six degrees and all that!